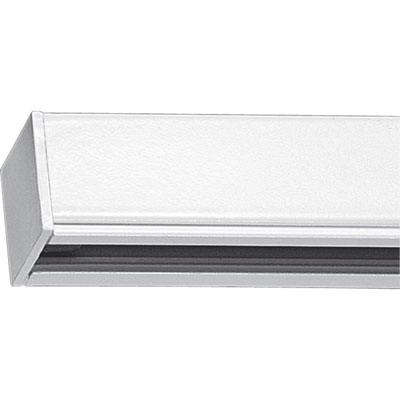 Progress Lighting Alpha Trak® Collection Utilitarian/commodity style track section ceiling light in white finish, features extruded aluminum construction. It has voltage rating of 120-Volts and current rating of 20-Amps. It measures 4-ft x 1-1/8-Inch x 7/8-Inch. It has polarity notch for rows and fitters. This section features keyholes and round knockouts on top of track for mounting. It comes with mounting screws, toggle bolts, one dead end and mounting hardware. It is suitable for kitchen and room lighting. Ceiling light is UL/cUL listed.